I recently traveled to Biddeford (and got lost, natch) to teach a mustard making workshop. And since nothing sweetens travel like following up on a good food tip, when my friend A. suggested I hit his favorite pizza shop in the Bidde, I took a little extra time to seek out Pizza by Alex. 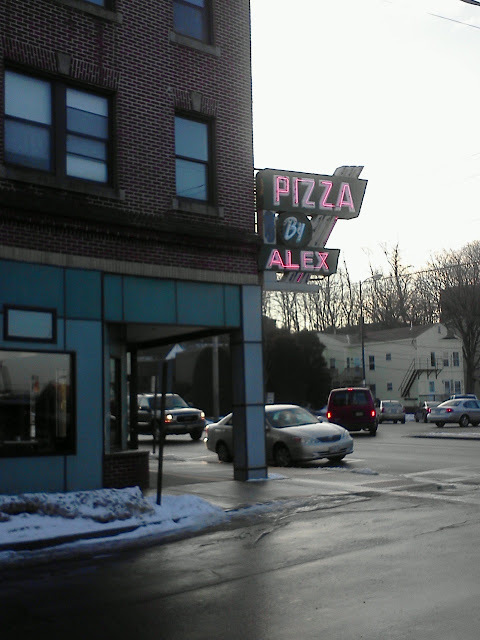 Pizza by Alex captures the lost-in-time nature of downtown Biddeford with its retro neon sign, its wood panelled walls covered in thank you's from the local little league team, and the yellow cast from the overhead stained glass light fixtures. 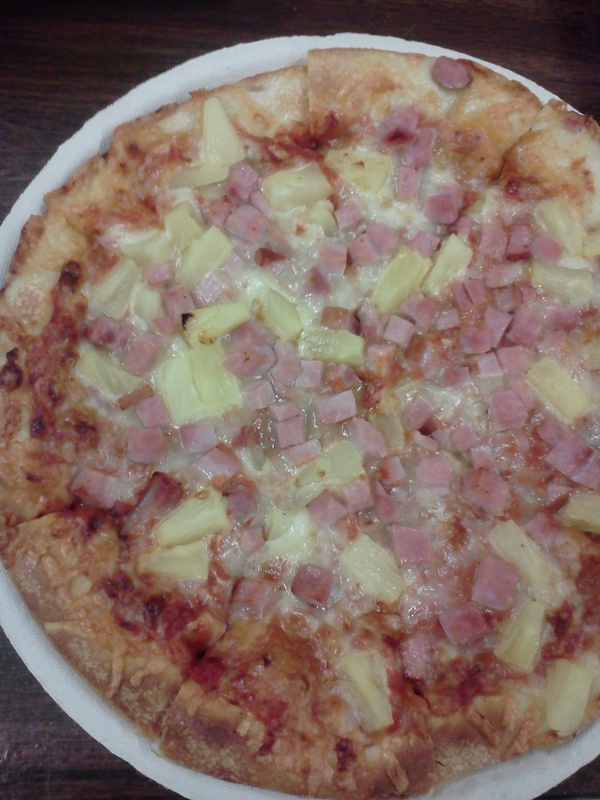 Now, I realize pizza is a divisive thing. Strong opinions abound. For some, Pizza by Alex symbolizes lazy, summer days spent at the beach, when a trip into town for that only-in-Maine pizza is the most pressing item on your agenda. Others attempt to compare this pizza to that from away- New York, Boston, New Haven... and of course, both approaches fail to appreciate this pizza on its own. This is a unique pizza for sure. The crust is chewy and lightly sauced, and crusty burnt cheese ends spill over the edges. It only comes in one size, and other than the variety of toppings, is the only menu item. I enjoyed Pizza by Alex; I think it'd be worth a stop if you're passing through town or looking for a lunch spot. If nothing else, it's an anachronistic experience. And who knows, you may find yourself drawn back out of nostalgia. It seems to generate that kind of response.